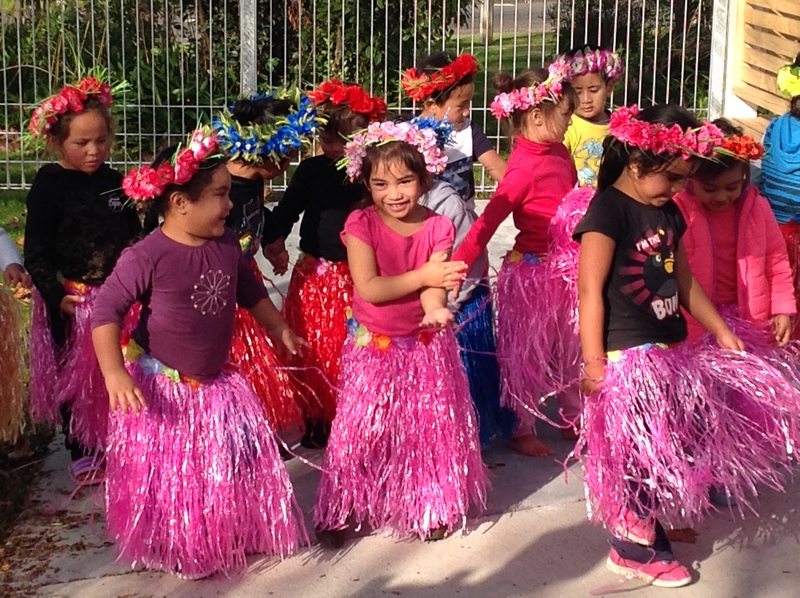 Te kohanga reo going for their daily walk met the Heartland tour in Dannevirke. 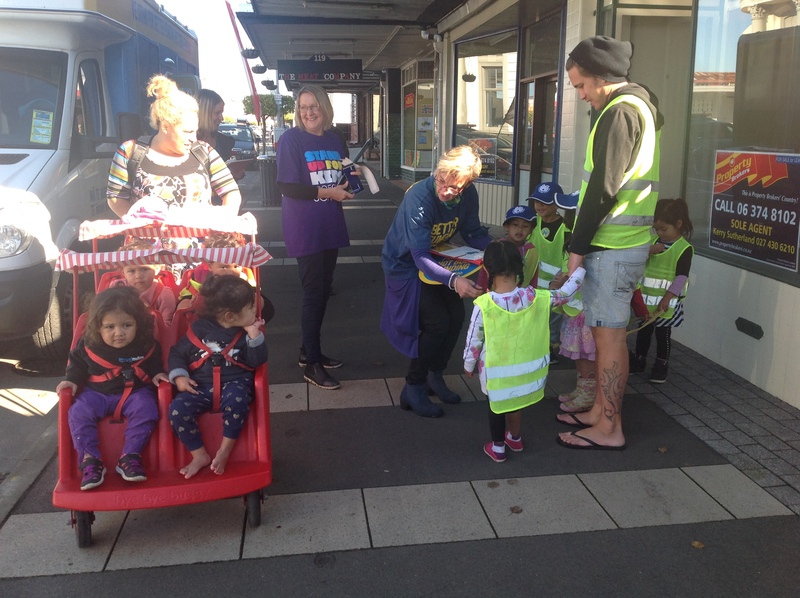 Southern Hawkes Bay Branch members Sandra Eggleton, Janet Tolley and Jo Brown were collecting signatures on High Street. 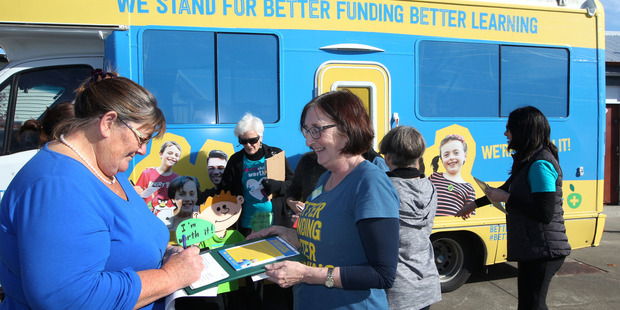 “Lisa Woodward and Elaine Savage collect signatures in support of better funding for support staff in Manawatu schools. Hastings Central School deputy principal Beverley Ward signs a postcard presented by St Matthew’s Primary School support staff teacher aide Suzanne Rogers. 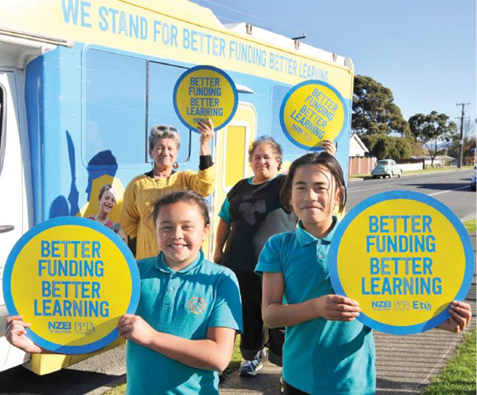 Hawkes Bay Today newspaper on Saturday reported Raureka Primary School principal Greg Riceman, also on the NZEI national leadership group for principals, saying in this week’s budget there did not appear to be much at all for schools. 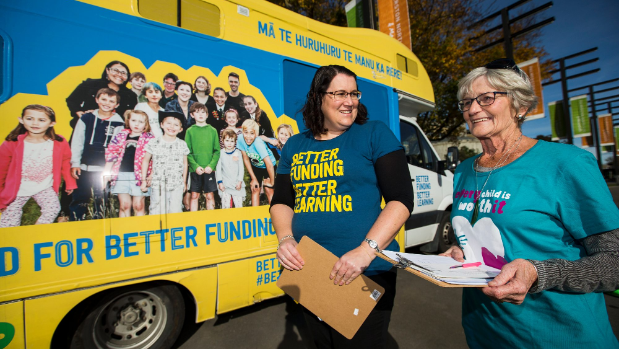 He said that in real terms, teacher salaries had been dropping over the last nine years, despite the Government saying it was putting more money into the sector, and there were growing issues as schools coped with increasing rolls. 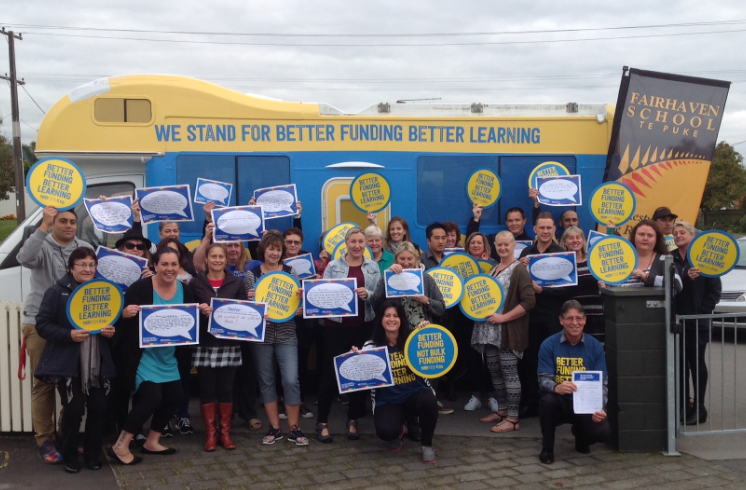 Five hundred school principals signed an open letter published in the Sunday Star-Times yesterday to the Government asking for an increase in funding. Principal Nigel Bioletti and support staffer Nicole Young at Birkenhead Primary say their school will struggle to pay support staff. See the open letter on our website. 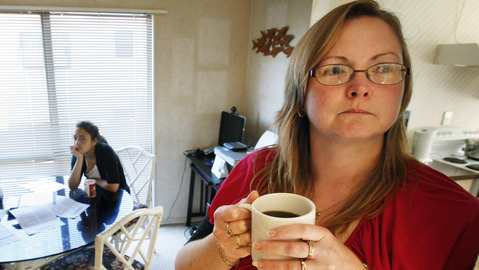 NZ Herald weighs in on teacher aides. Schools say they may be forced to cut the working hours of 20,000 support staff unless the Government provides funding to pay them higher wages. More in NZ Herald, 29 may, 2017. What the campaign is about! 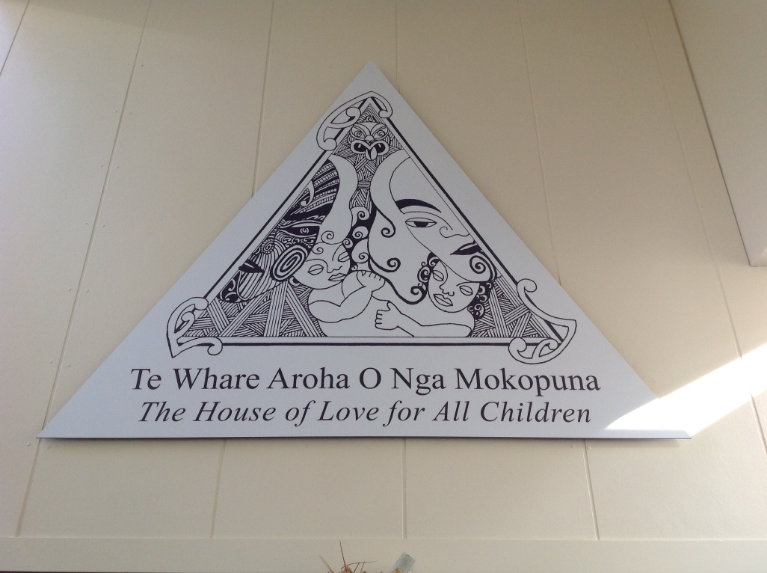 Today in Hastings,welcoming visitors from the Better Funding campaign, the beautiful children and their teachers at Te Whare Aroha O Nga Mokopuna, the house of love for all children. Doesn’t it show? Taime Samuels on ukulele. 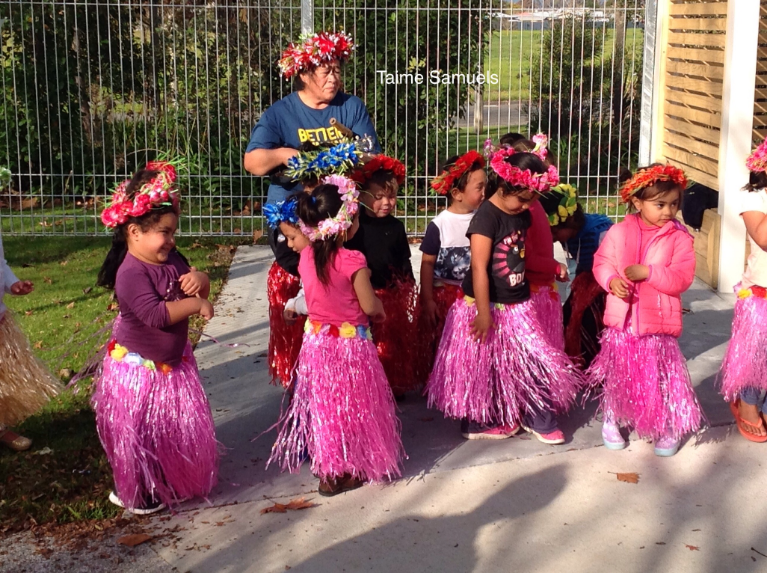 Lining up, dressing up, chatting, dancing, loving their early childhood education – this is what the campaign is about. There’s a high level of interest from media, here’s the Gisborne Herald yesterday (photo Gisborne Herald). It’s great to see the hard work paying off with such widespread coverage of our campaign. 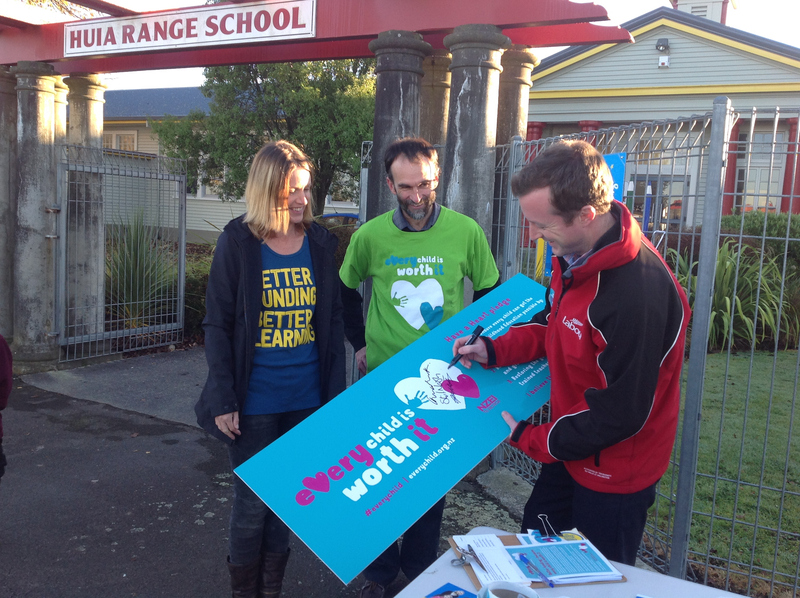 Local media reports are providing extra visibility and helping carry the message as the campaign rolls through Bay of Plenty and down the East Coast visiting schools and communities. The South Waikato Times (below) reported on dire consequences for kids. 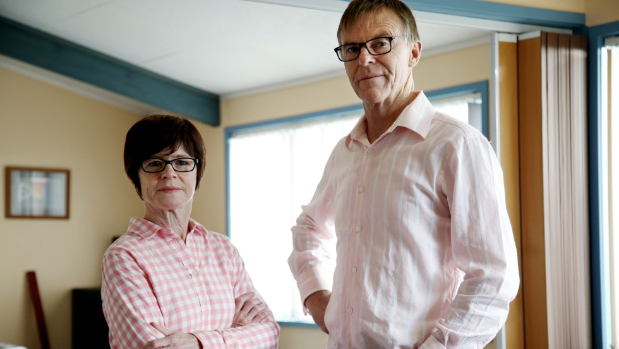 In Tauranga, Fairhaven Primary School principal and NZEI Principals Council member Paul Hunt said schools’ budgets were stretched to breaking point. 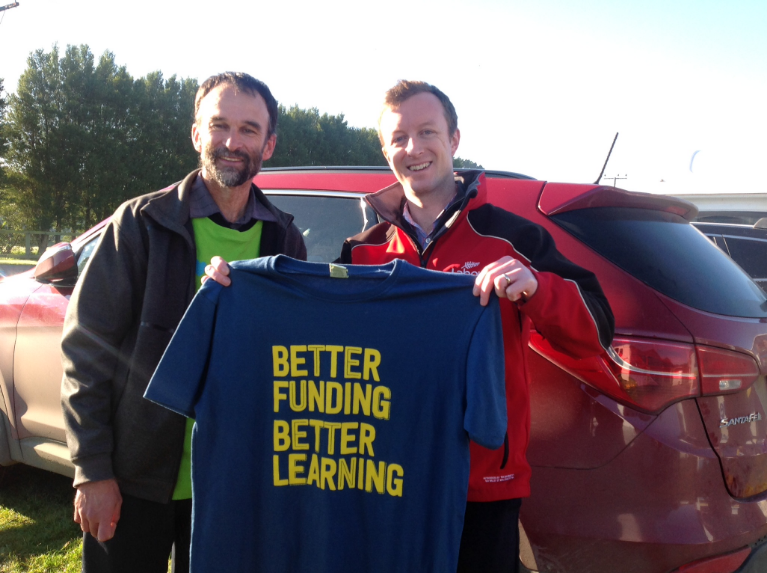 The Bay of Plenty Times headlined that story with “Tauranga Gets Behind Better Funding For Schools Campaign”, video here of Paul Hunt outside Te Puke Kindergarten. 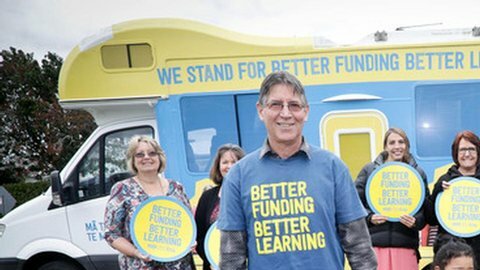 Paul spent the day on the van with the concerns of teachers, making sure that education was a high profile for the upcoming Budget and elections. 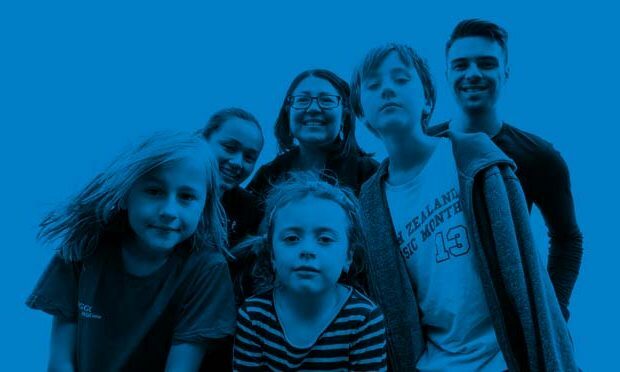 The campaign lead the front page of the Te Puke Times where Paul Hunt urged parents making voting choices in the upcoming general election to consider which education policies offer the best learning outcome for all children.